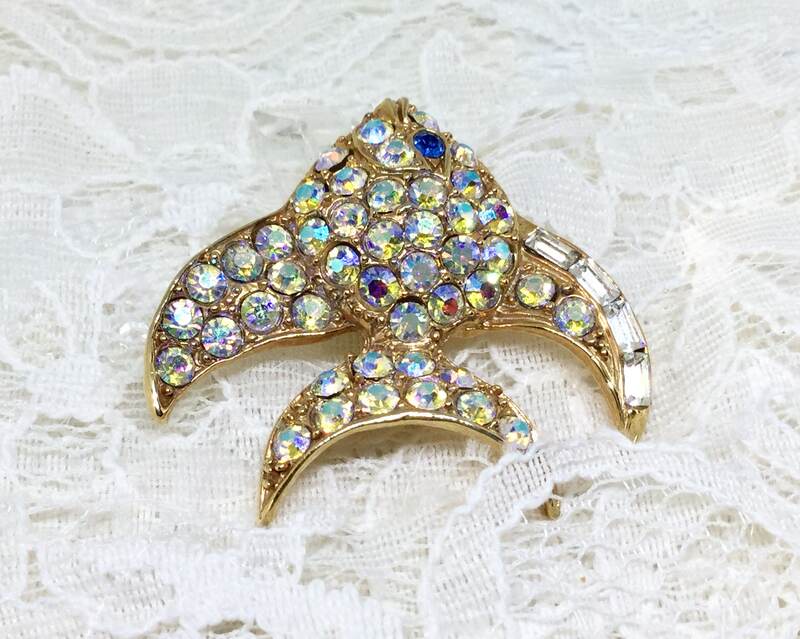 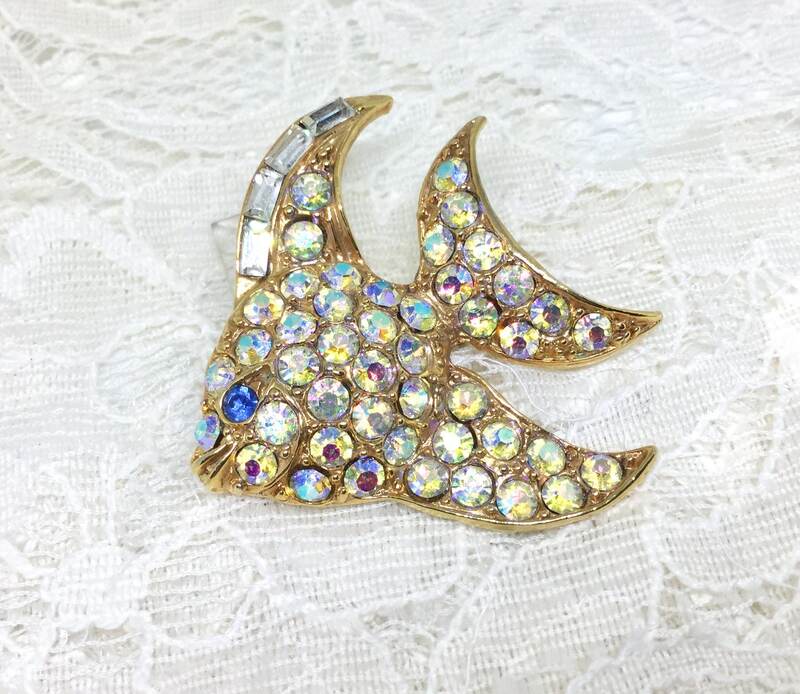 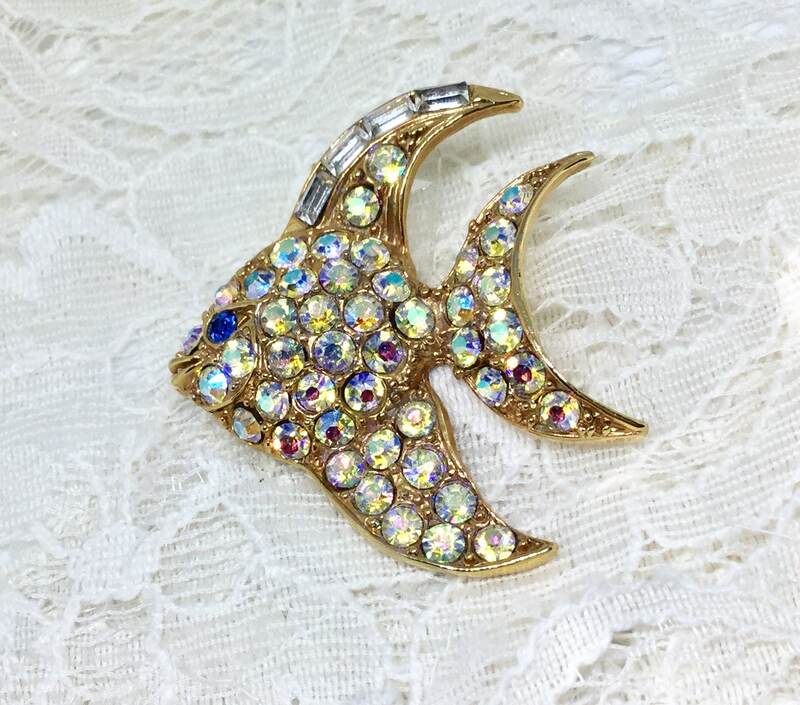 This is a sweet 1970s vintage goldtone unsigned AB rhinestone fish brooch. 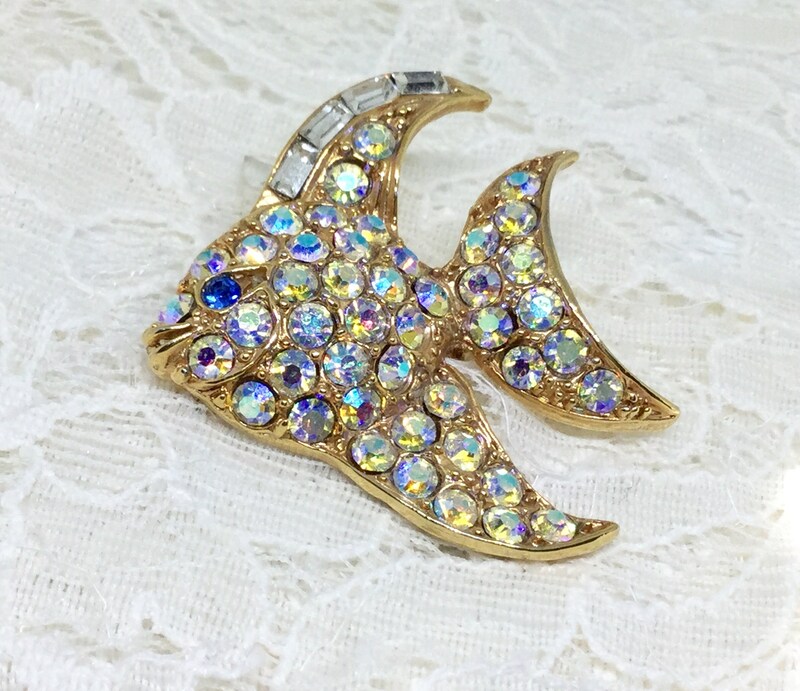 The body is completely covered in sparkly Aurora Borealis round rhinestones and has four clear baguette rhinestones accenting the top fin. 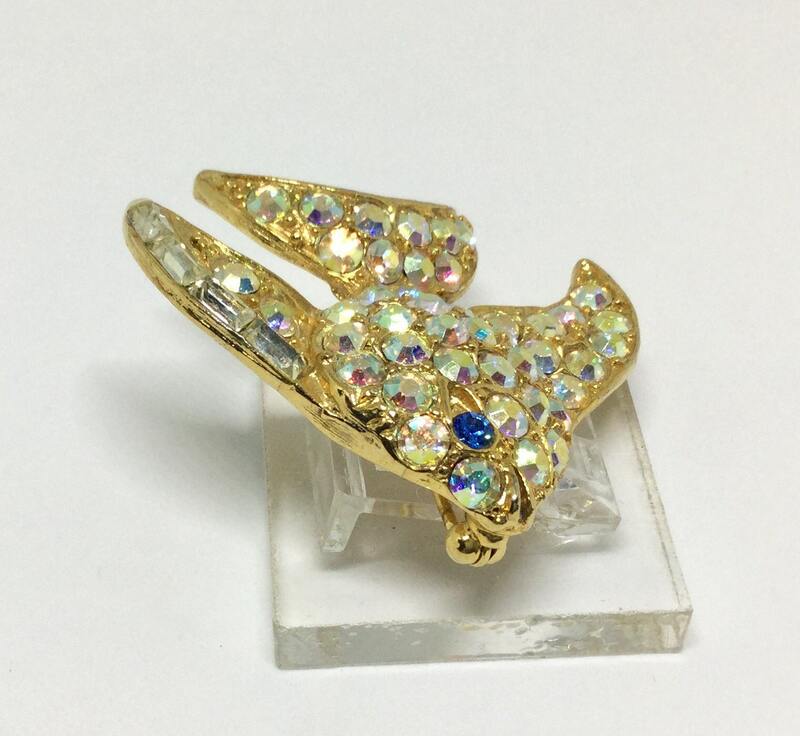 The goldtone is a shiny satin finish and there is also a blue rhinestone eye. 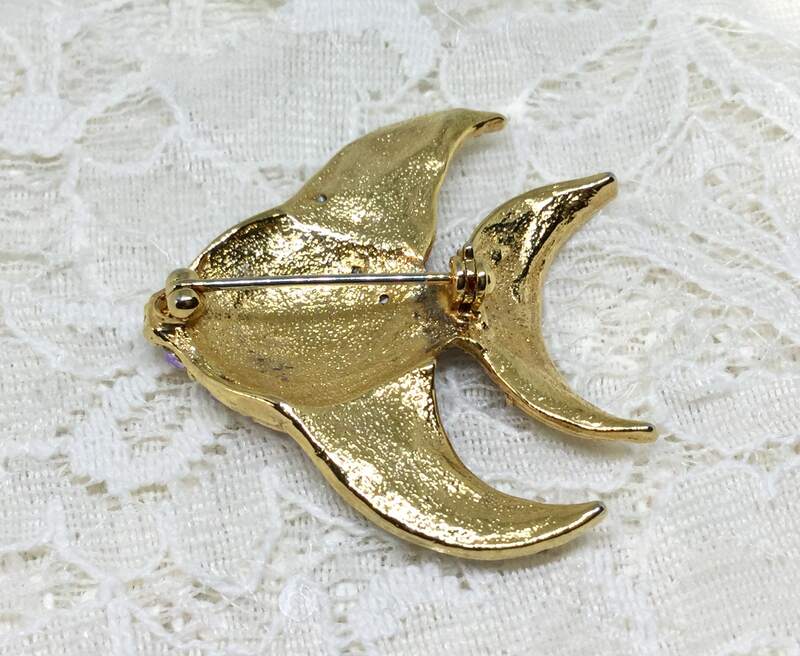 It measures 1 3/4” x 1 7/8” and the pinback is straight and works smoothly and securely. 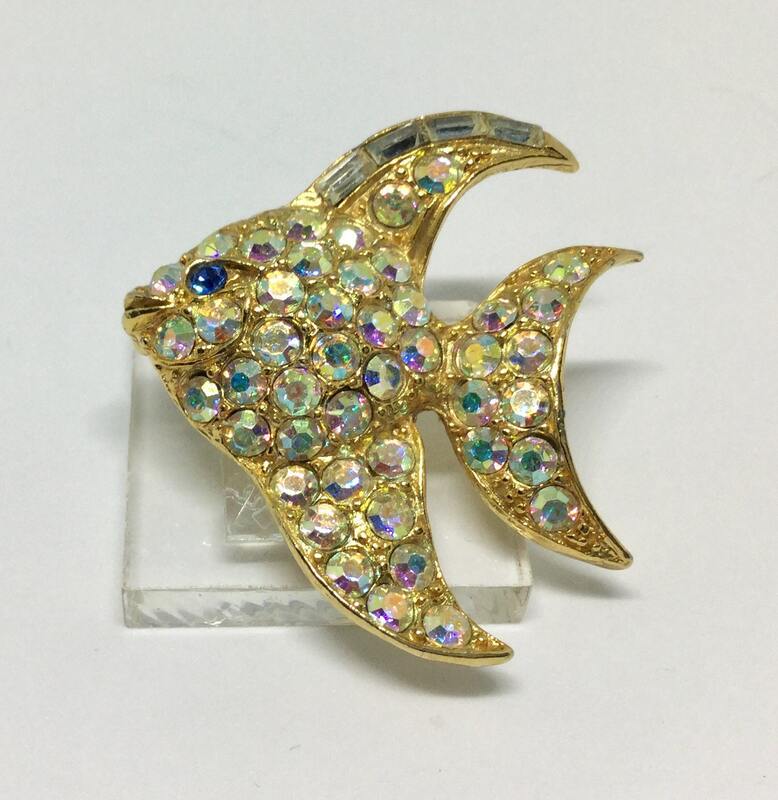 This is a fun and eye catching fish that will make people smile....great as a Mothers Day gift!